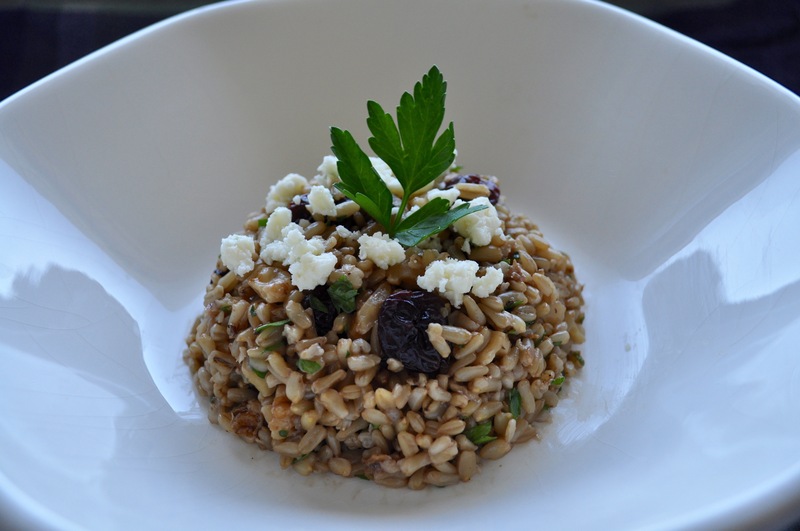 Oat Berry Pilaf with Walnuts – Got Nourishment? Guess what came in the mail yesterday! My copy of The Complete Vegetarian Cookbook from America’s Test Kitchen! So pumped. My dad got me hooked on America’s Test Kitchen, which provides awesome recipes that have been tested and analyzed down to every last grain of salt (okay, not quite, but you get the point). This is the first recipe that I decided to try from the cookbook, which I pretty much chose at random, since I had 700 recipes to choose from! 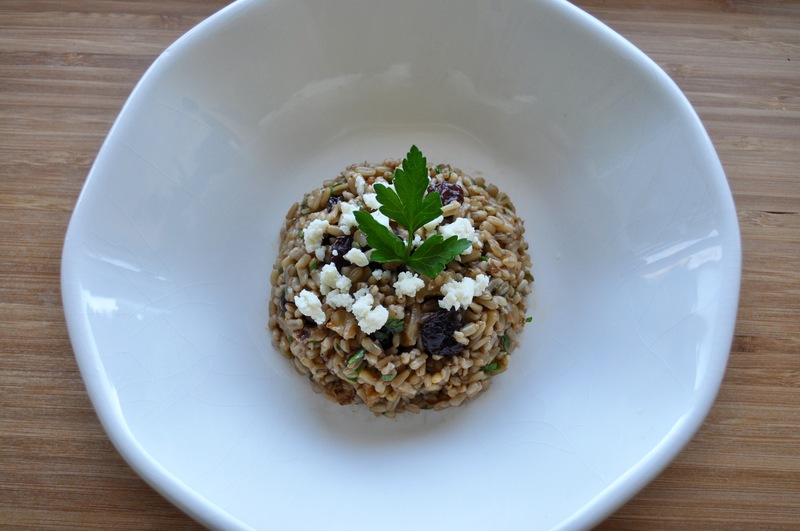 The main ingredient in this pilaf is oat berries (aka: oat groats). Oat berries have a nutty flavor and a delightful chewy texture. They are actually whole oats that have been hulled and cleaned. Oat berries are an excellent source of soluble fiber, which, as mentioned many times in previous posts ;), is important for health, digestion, and aids in preventing diseases. Soluble fiber, found in foods such as oats, barley, nuts, seeds, beans, and some fruits and vegetables, attracts water during digestion and turns gel-like, which slows down digestion. Not only is this recipe nutritious, but it also can be whipped up in a hurry and is quite delicious! 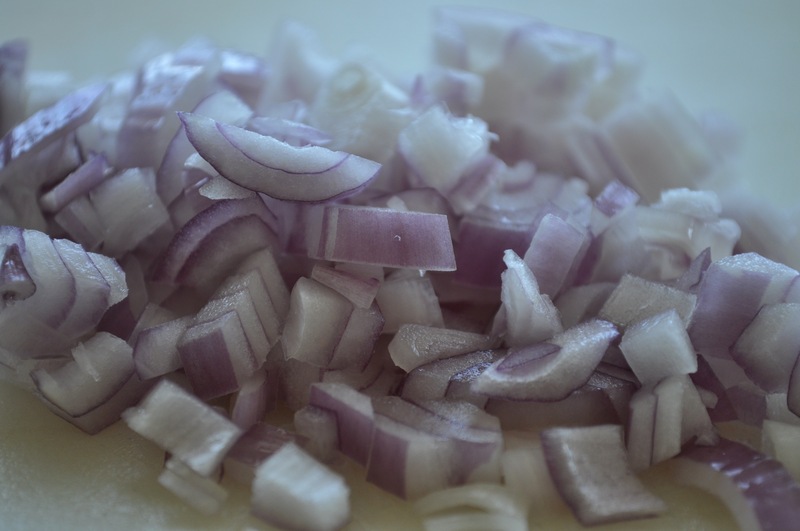 It makes an excellent side dish or a light main dish. To cut down on the cost of some of the more expensive ingredients, try looking for oat berries, walnuts, and dried cherries in the bulk section of your grocery store, so you can simply buy the exact amount you need! Heat oil in large saucepan over medium heat until simmering. Add shallot and cook until softened, about 2 minutes. 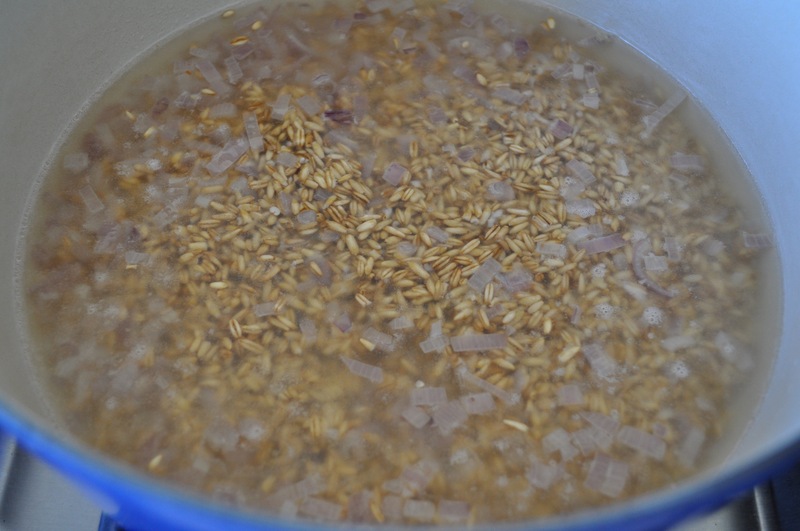 Stir in water, oat berries, and 1/4 teaspoon salt and bring to simmer. 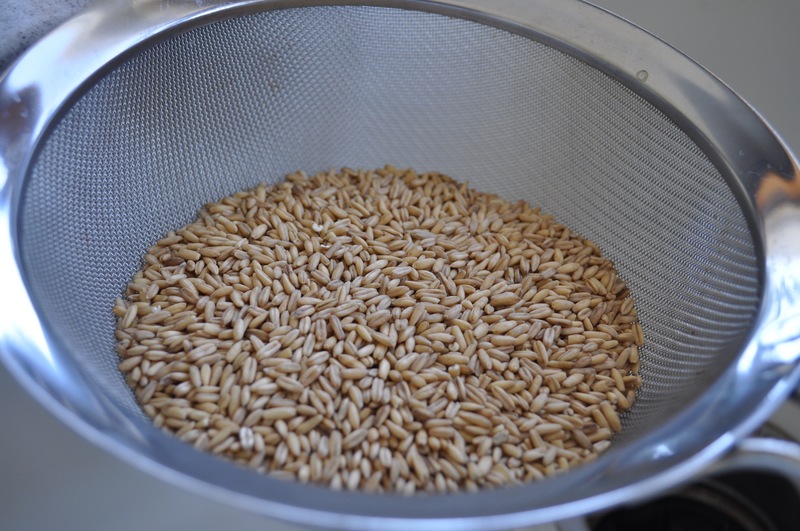 Reduce heat to low, cover, and continue to simmer until oat berries are tender but still slightly chewy, 30 to 40 minutes. Remove pot from heat and lay clean folded dish towel underneath lid. Let sit for 10 minutes. Fluff oat berries with fork and fold in walnuts, cherries, and parsley. Season with salt and pepper to taste and drizzle with vinegar. Serve, sprinkling individual portions with Gorgonzola.